Applications are already encouraged to use their own folders for storing data, or using one of the generic system folders in the main directory (Music, Downloads, etc.). 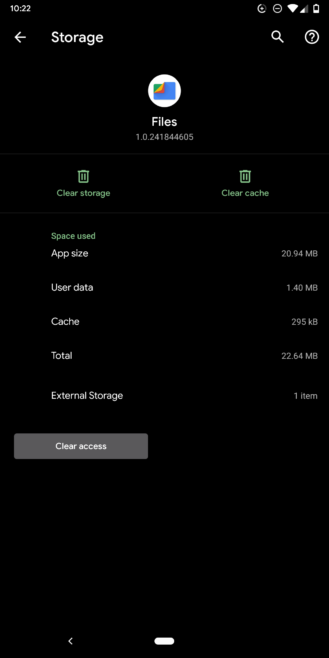 Android Q Beta 2 is taking this a step further, by limiting how apps can access files on internal and external storage. With 'Scoped Storage,' Android creates isolated storage sandboxes for each app. Apps no longer need special permissions to write to their own files, and no other apps can directly access another app's sandbox. The default Photos, Videos, Music, and Downloads folders are 'shared collections' — meaning they are accessible by any app. There are several new permissions to go with Scoped Storage. READ_MEDIA_AUDIO grants permission to the Music folder, READ_MEDIA_IMAGES gives access to the Photos folder, and READ_MEDIA_VIDEO is for the Videos folder. There are other changes to file access as well. 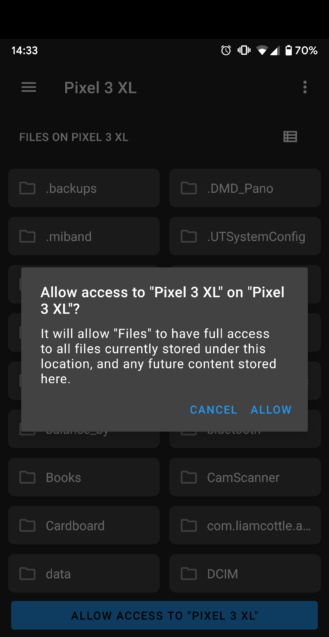 By default, Android Q removes Exif data from images when apps try to access them, unless the apps have the new ACCESS_MEDIA_LOCATION permission. Exif information usually contains GPS coordinates for where the photo was taken, along with other data about the phone's cameras. Android Q also now assigns unique names to all external storage devices (flash drives, SD cards, etc.). On Android 9 Pie and lower, they were all listed under the single "external" volume name. Finally, Android Q includes a 'compatibility mode' that disables these new restrictions. The mode is only enabled for apps installed before a device was updated to Android Q, and if the app is still built for Android 9 Pie or older. Uninstalling and re-installing the app won't re-enable compatibility mode. This might be the most important API change in Android Q, as it represents a major shift in how Android lays out files. Instead of the free-for-all file system that desktop operating systems use, most app data will be kept private. Most people probably won't notice anything different, but the existing storage permissions aren't going away right now anyway. If you're in need of a file manager that works on Android Q, the beta version of Files by Google is now compatible with the Scoped Storage API. 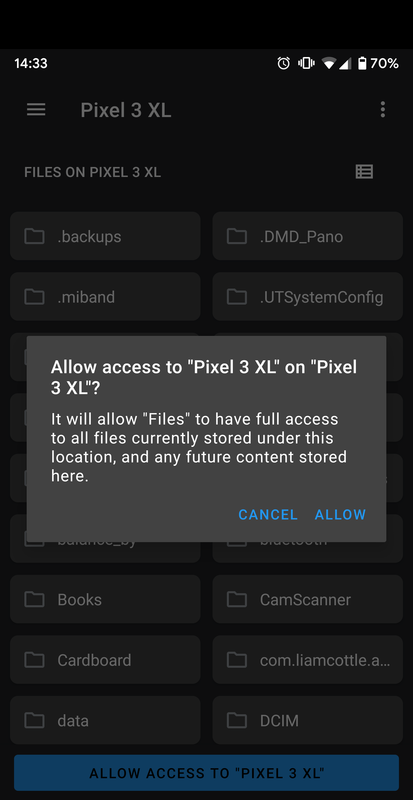 The new permission popup at launch and 'Clear access' button in App Info gives us an idea of how file managers will work on Q. 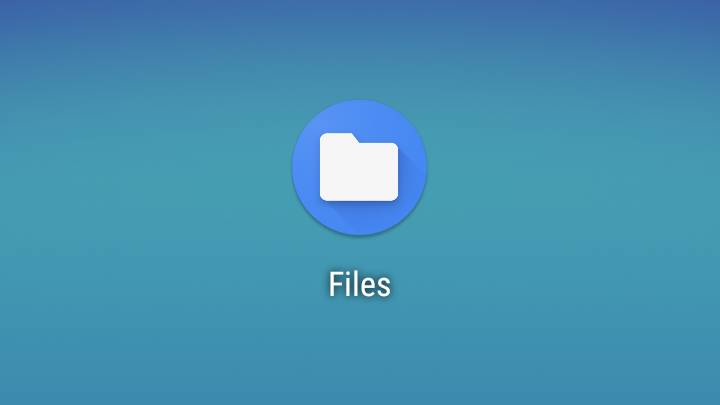 You can get Files by Google from the below widget, and make sure to sign up for the beta program so you get the update compatible with Android Q.